Locations may include cornfields, pit blind style hunt, flooded field or pond. Based on Availability – – We can provide you with a field to hunt in a prime location around the Mound City and Squaw Creek NWR area. 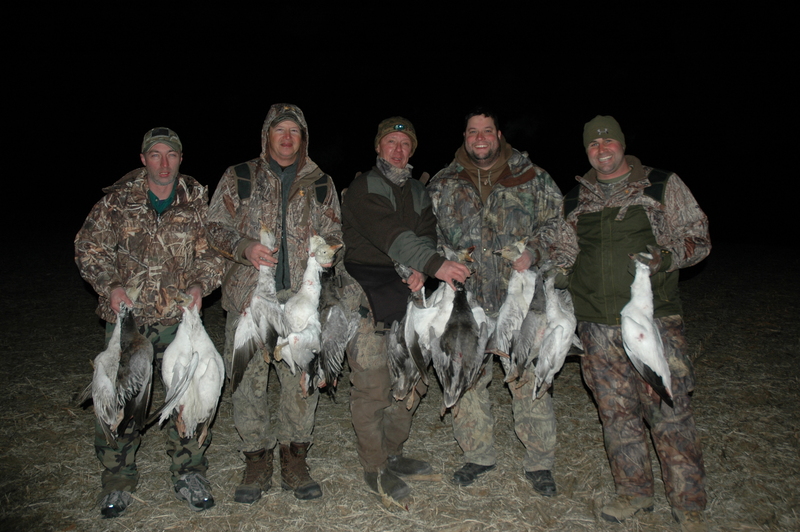 We have several locations of prime snow goose hunting ground we lease that the members may use.